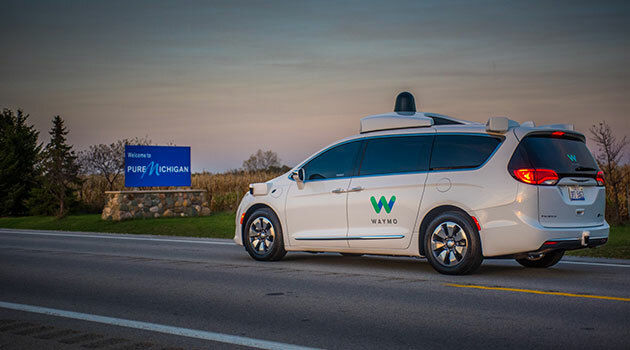 A recent accident involving an autonomous vehicle and a motorcyclist might have been prevented if the car’s safety driver hadn’t stepped in, according to Waymo representatives. Autonomous cars have been heavily promoted on their potential to keep the roads safer than human drivers. But in this beta phase of their development, accidents will happen—and they do, relatively frequently. In what has either become a self-fulfilled prophecy or an emerging confirmation of those promotional arguments, it seems the vehicles’ biggest safety issue on the road may in fact be dealing with human drivers. Such was apparently the case in November when a Waymo self-driving car was responsible for putting a man in the hospital. According to the police report, the autonomous vehicle ran into a trolley problem of sorts while traveling along a busy road in Mountain View, California. When a car on its right began to merge into the lane the robocar was traveling in, the vehicle, in turn, was forced to change lanes to avoid a collision. While making its quick move to the left, it struck a motorcycle that had just entered the lane, sending the bike skidding across the road. That fast action wasn’t determined by an algorithm, however. The car’s safety driver took the vehicle out of self-driving mode to perform the maneuver. Although the driver apparently didn’t see the motorcyclist coming, the autonomous car most likely did, at least according to Waymo CEO John Krafcik. The head of the Google self-driving spin-off company released a blog post in the wake of the accident. He offered no further details on the condition of the motorcycle driver, but did shed some additional light on what was happening inside Waymo’s self-driving car at the time. Calling the incident the “type of situation self-driving vehicles can prevent,” Krafcik claimed that there would have been no incident at all if the vehicle had been left to its own devices. After the accident occurred, Waymo ran a simulation of the situation on its computers, in which its autonomous car was successfully able to predict the behavior of both the merging car and the motorcycle, Krafcik said. The virtual vehicle dealt with the problem by reducing its speed, then nudging over to the side of its lane, but not merging fully. This, the company said, would have prevented the motorcycle collision while still avoiding striking the merging car. Still, the incident nearly coincides with Waymo’s newly-bestowed permission to test vehicles on California roads without a safety driver. Hopefully, the rest of the fleet will be as up to speed on how to avoid future accidents.